Outdoor Exercises That You Can Do For FREE! Working out inside on a treadmill or weight bench can get, well, maybe a little boring. Staring at the wall or perhaps TV while you are working out can get a little monotonous. Personally, I love the gym – yes, even my low budget home gym, but sometimes you just want a change of scenery! One of the best ways to do that is to get outside and get moving! There are so many outdoor exercises that you can do and most (if not all) of them are FREE! Abs Workout At Home – No Equipment Needed Ab Exercises! Don’t we all just dream of having a flat stomach? I know I do! Mine could definitely use some help here or there, but there is always the issue with all of the work and self-control that it takes to achieve that. Getting a flat stomach takes three main components: abs workouts, healthy eating, and cardio. Whew! I am a little tired already, just thinking of it! However, one awesome thing is that you can do a TOTAL abs workout at home without needing any equipment. Some girls love to workout their abs, some girls love to workout their legs – THIS GIRL loves to workout her arms! So, I have found the best arm exercises without weights that I can do at home. Several years ago when I let my gym membership lapse (for the first time since I was 16! ), I felt a twinge of panic. Let’s get real for a moment, the gym had been my ENTIRE life since I was a teenager. I needed to still get inn my workouts! 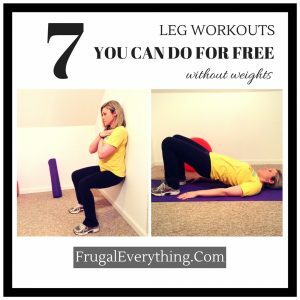 So, I have come up with some leg workouts without weights to keep my legs in shape. As I got older, this “adulting” thing started getting in the way. I needed to make real money and also pay real bills. I needed to start living more frugally. Realistically, paying $100’s of dollars a year to the gym just was not in my budget at that point any longer. If you are in a similar boat – whether you used to have a gym membership and need to cut costs or you never have been to a gym, but still want to get in shape – never fear! Hey! 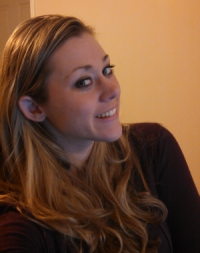 I'm Kristin and I LOVE Frugal living! 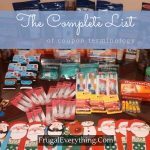 But being frugal doesn't mean you have to miss out on the good things. 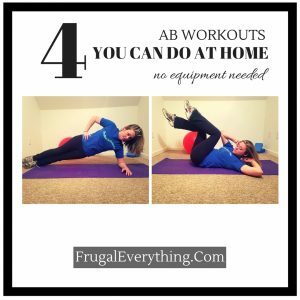 My house is all about Frugal Fitness, Frugal Food, Frugal Finance and, oh yeah, Frugal Fun! My husband and I (along with our 6 dogs) also run a mini-farm. 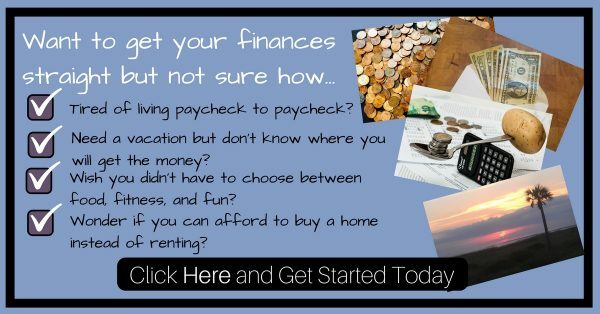 Need Help Saving to Your Financial Goals? 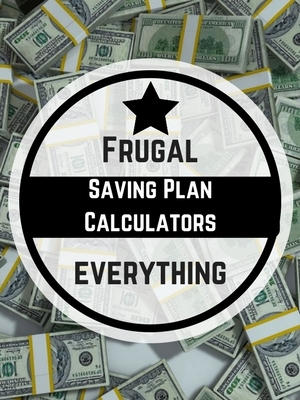 My Savings Plan Calculators Track it for You! We are members of Affiliate programs. You may come across these links while reading our blogs. In full disclosure, we receive a small commission from these products if you purchase one of them through the links provided. It does not increase the cost for you at all, it just helps keep this blog running. ​We do use each of these products and would not endorse them if we did not. I’m not a doctor, registered dietitian, financial advisor etc. The information provided is to share my experiences with fitness, finance, food and life. You should not use any information here as a substitute or replacement for medical advice/treatment or professional financial advice. You should always consult your health care professional with any health concerns and before beginning any fitness activities. The use of any information provided on this site is solely at your own risk.